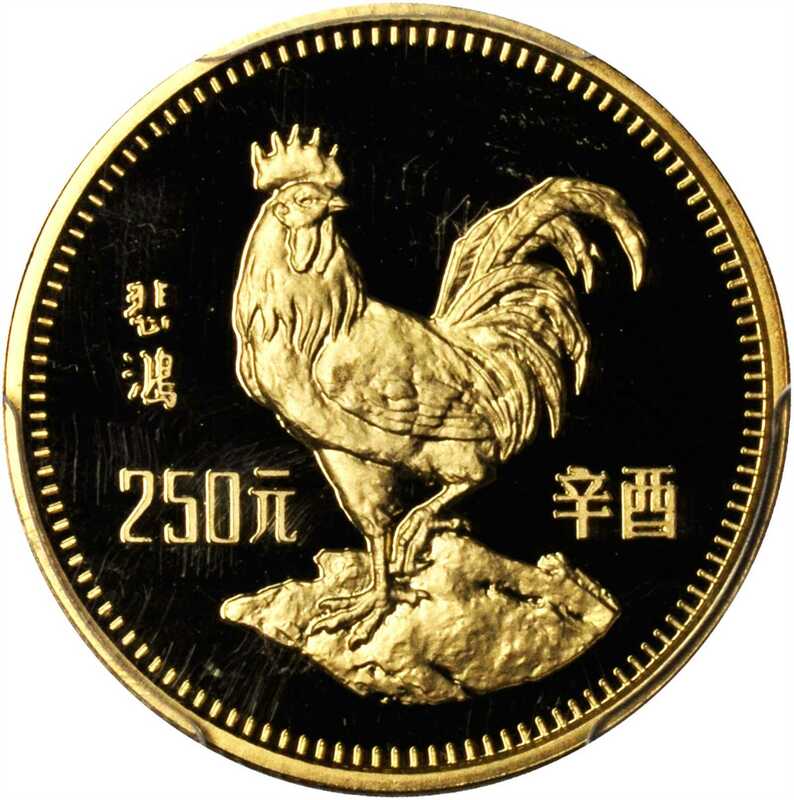 1981年250元，生肖系列，鸡年。含证书。镜面底板， 霜面图文，光泽亮丽。Fr-B60; KM-41. Includes certificate of authenticity. Brilliant with hard mirror fields and frosted cameo devicesPCGS PROOF-69 DEEP CAMEO Secure Holder.